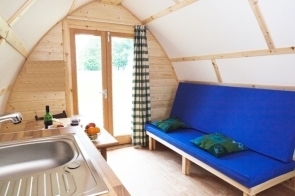 Mains Farm Wigwams is located just outside the historic town of Stirling. 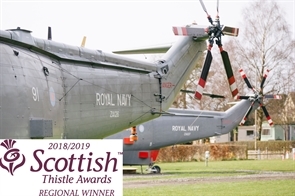 We are close to the Loch Lomond & Trossachs National Park and only an hours drive from Glasgow and Edinburgh. From Stirling or Motorway M9 Exit 10 - take A84 signposted Crianlarich and Callander. After approximately 6 miles bear left onto the A873 signposted Aberfoyle and Thornhill. In about 3 miles and at the crossroads at Thornhill village turn left onto the B822 signposted Fintry. About 125 metres downhill the site is signposted on the right hand side.